We only stock high-quality goods made by a wide range of manufacturers. Our little shop at Tal 2 offers a wealth of special treasures. 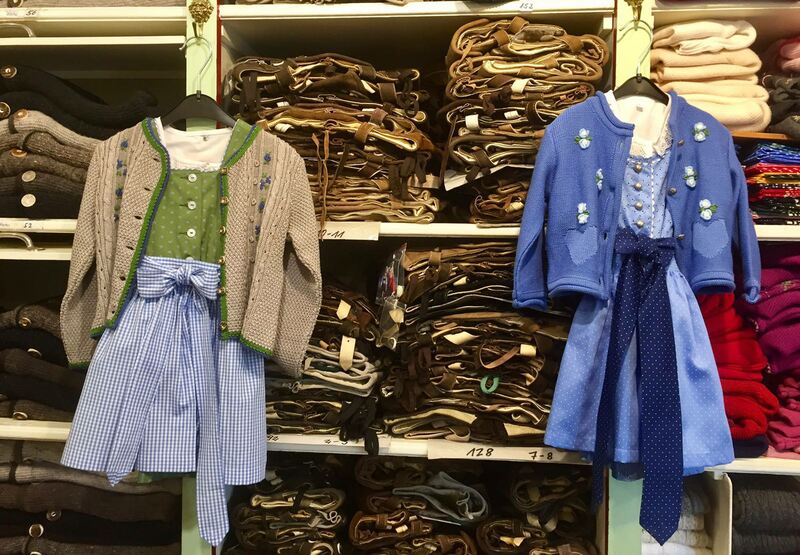 ... you will find a wide selection of children's costumes (dirndl dresses, leather trousers, knitted and felted wool collarless jackets, shirts and stockings). 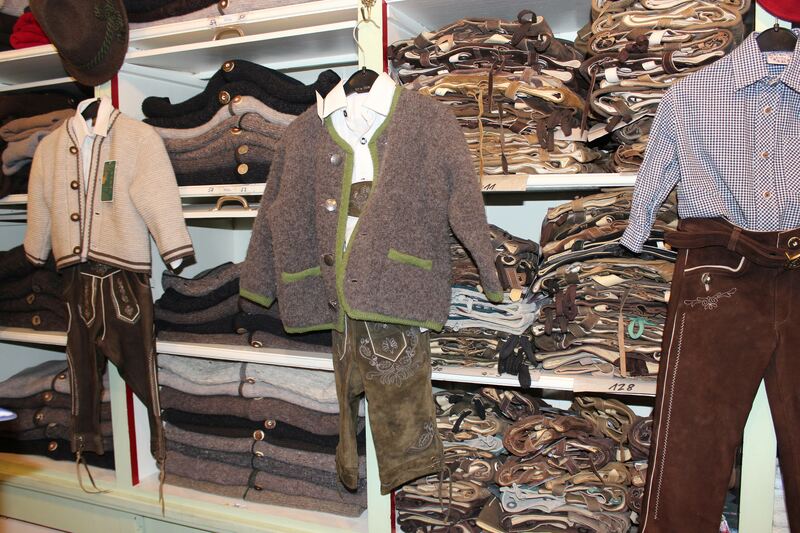 ... we carry Bavarian leather trousers in buckskin or goatskin in various lenghts and with different embroidery, plus everything that goes with them (velvet and knitted waistcoats, shirts, jackets in loden, knitwear or felted wool, socks, calf-warmer socks and, of course, the traditional Bavarian lace-up shoes). We are also happy to make trousers to measure according to your requirements. ... we can offer you a small selection of leather trousers, blouses and cardigans. And, of course, lots of lovely accessories. If you have any questions about our products or anything else, please email us or call us. We will contact you as soon as possible. Many Thanks. Your email has been sent.